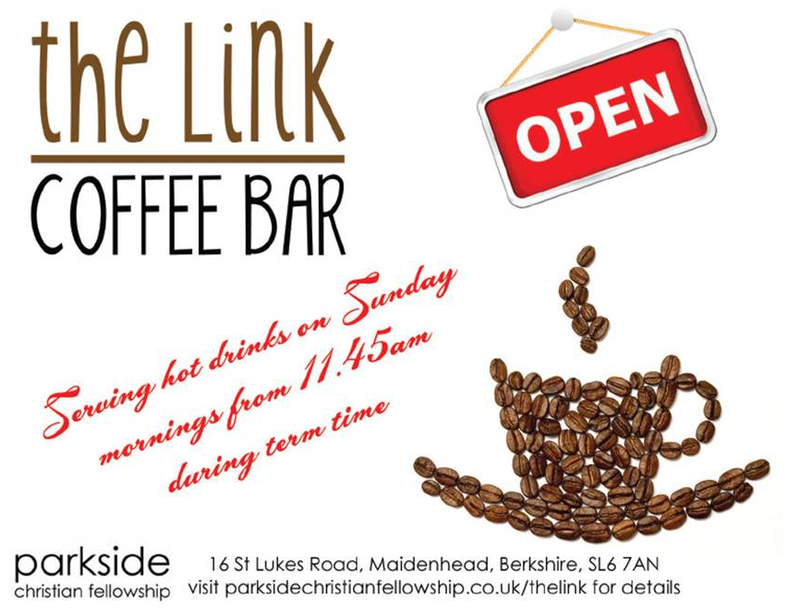 The Link Coffee Bar is a new concept for Parkside which is designed to fill the gap taken up by Sunday Club. During term time, parents and carers are able to drop their children off for Sunday Club (at 11.45am) and then stay on to enjoy chatting over a free coffee, tea or hot chocolate and biscuits at The Link before collecting their children at 12.30pm, when Sunday Club finishes. Please note that The Link only runs while Sunday Club is on and not during our Family Services.